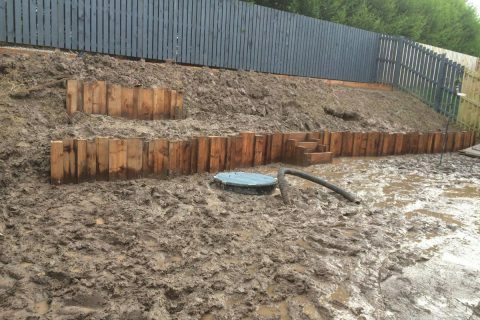 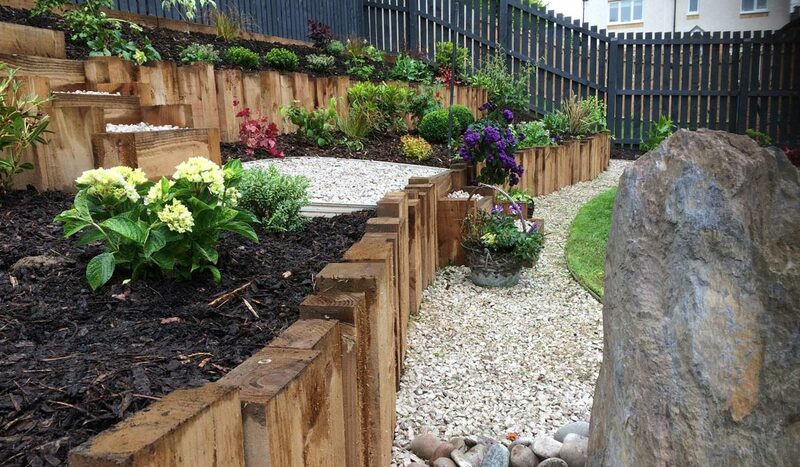 Our clients had a sloping garden which was very damp and they didn’t know how to create a usable garden space which was attractive. 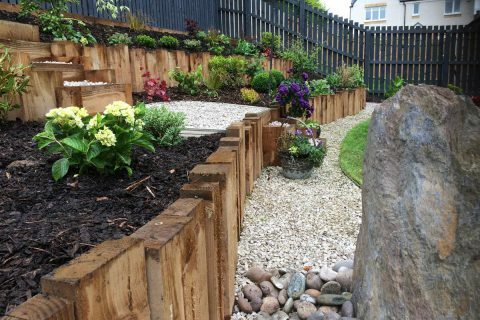 They wanted a low maintenance garden which still had year round interest and a lovely place to sit and relax. 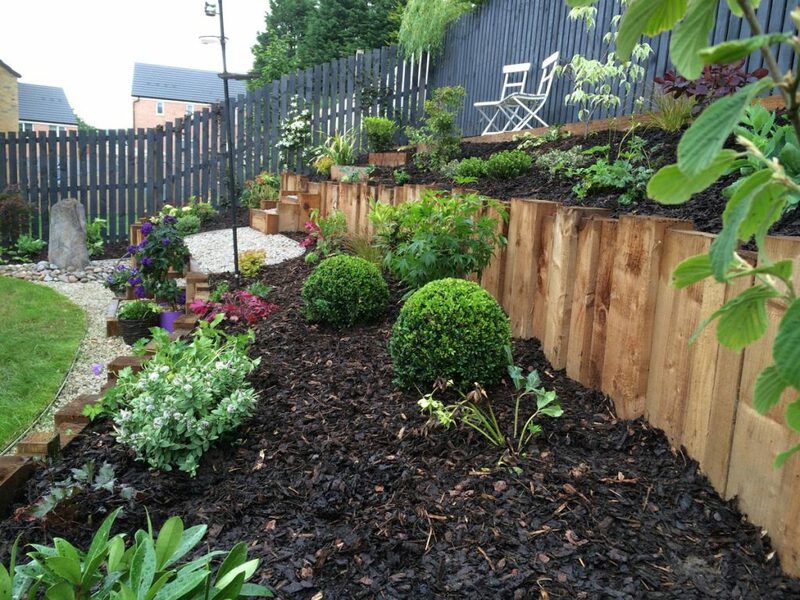 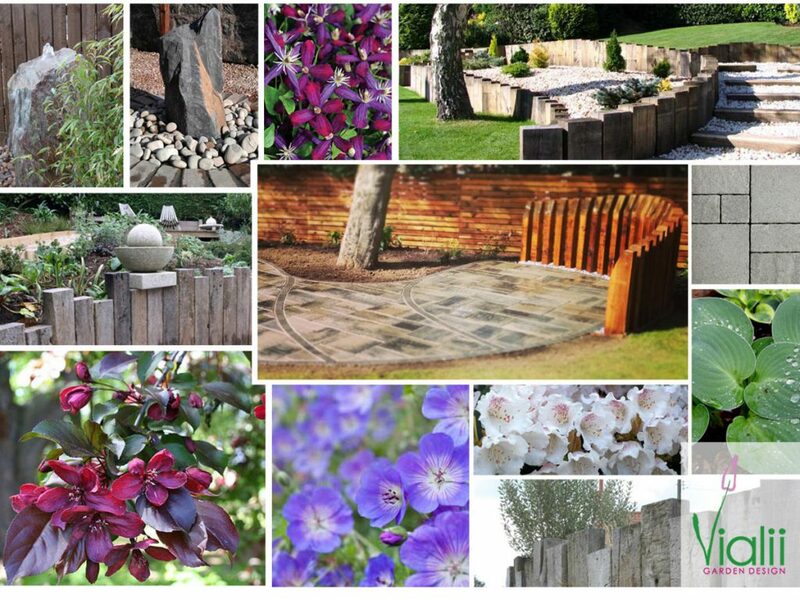 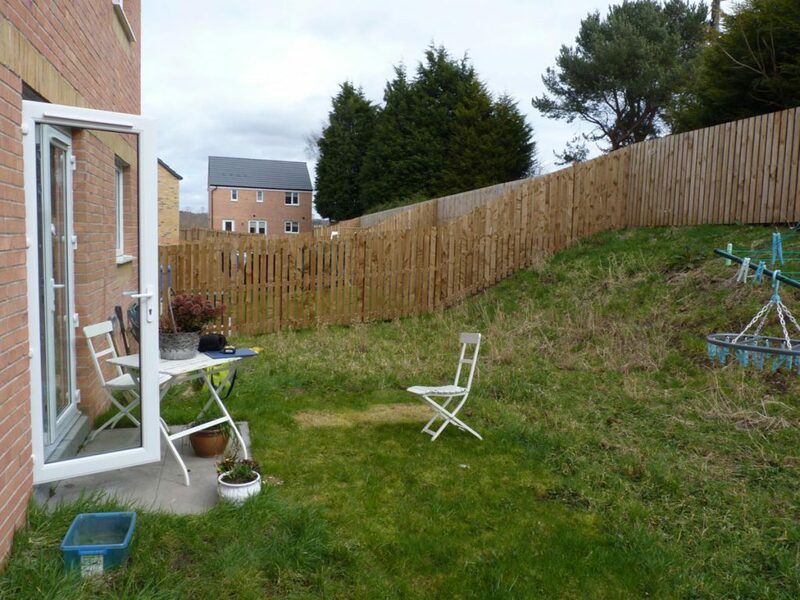 "I am absolutely delighted with the garden, really enjoying just looking at it every day." 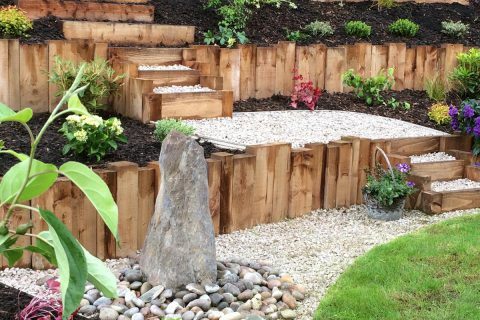 Vertical timbers were used to create terracing. 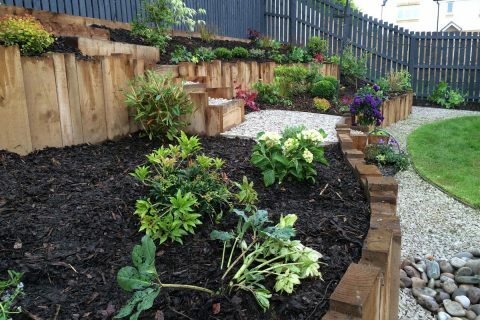 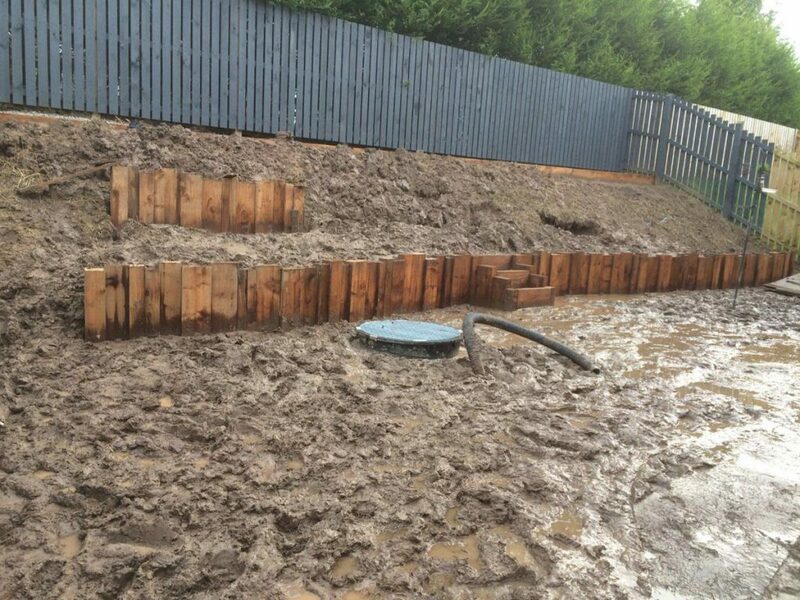 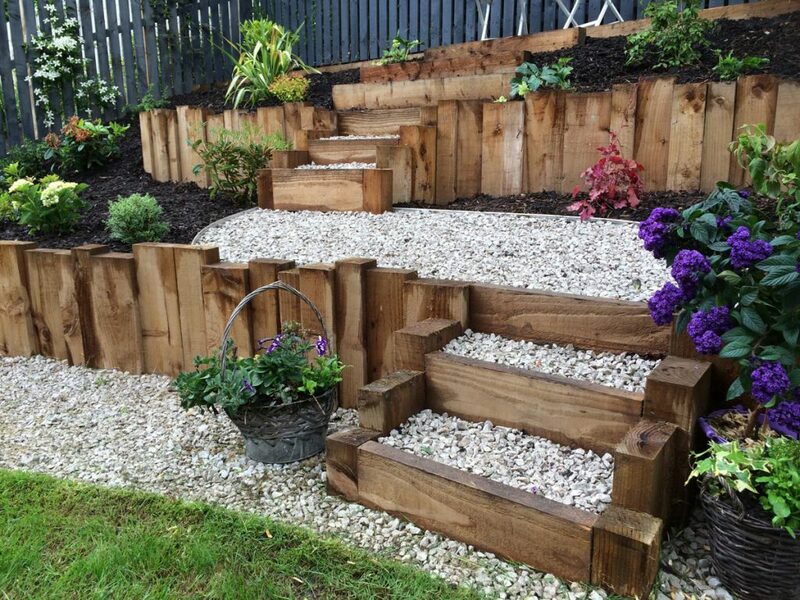 The terracing could curve gently due to the use of the vertical sleepers making the terracing less imposing. 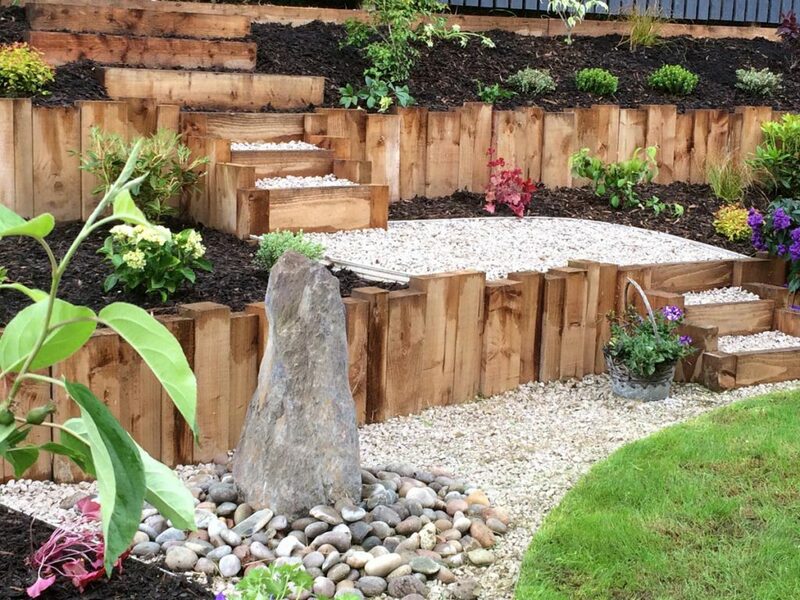 The heights of the timbers were also varied to provide additional interest. 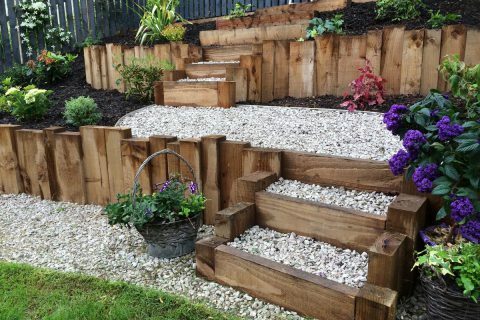 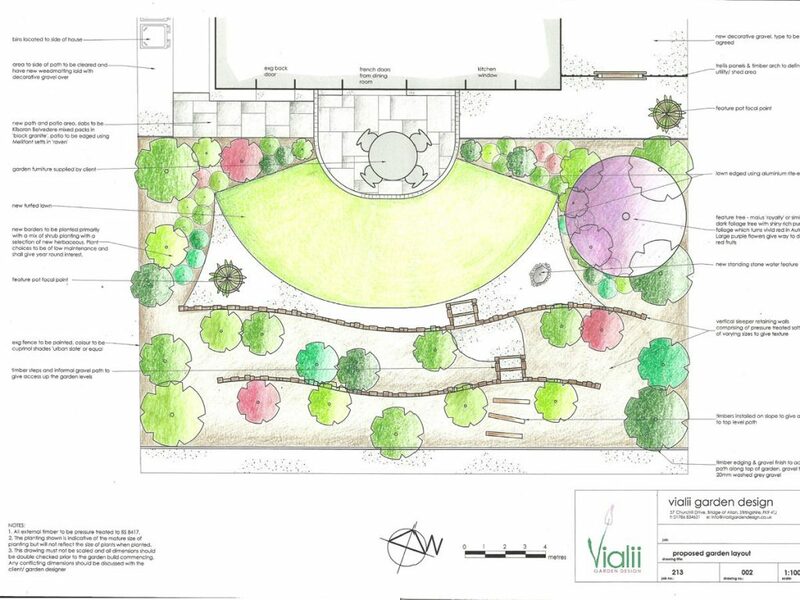 Gentle steps were created to allow areas of the terracing to be easily accessed. 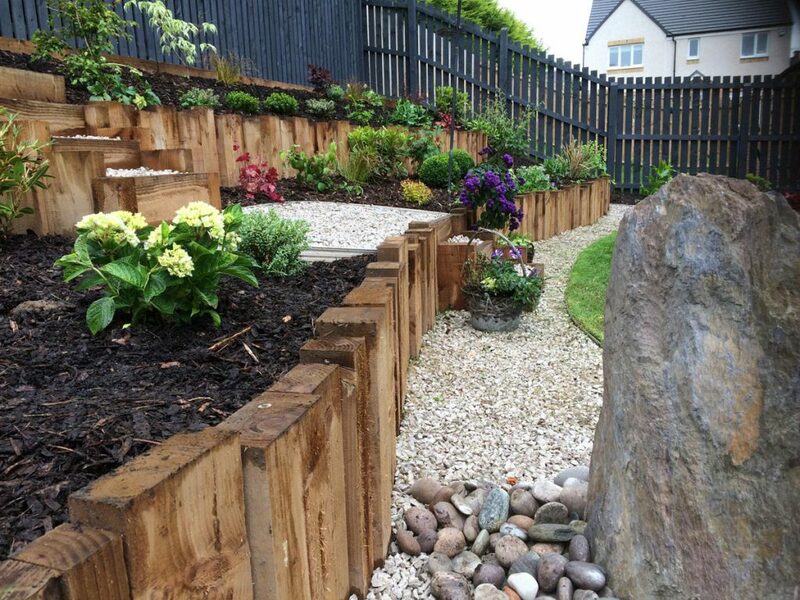 A bespoke standing stone water feature sits at the base of the terracing creating a focal point in the garden as well as providing the relaxing sound of water trickling. 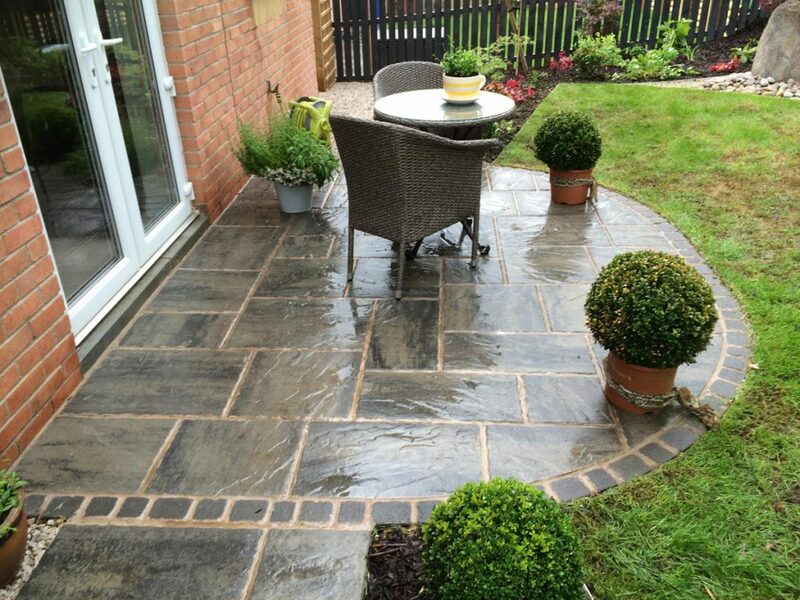 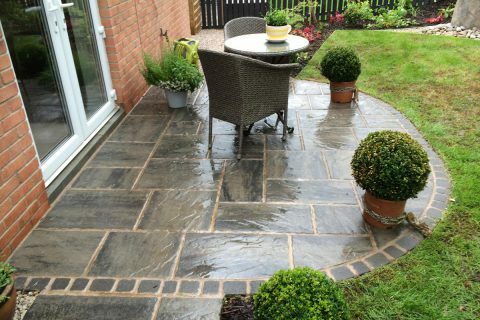 A new curving patio was laid outside the patio doors using slate effect flags and complementary setts creating a lovely place to sit and enjoy the garden. 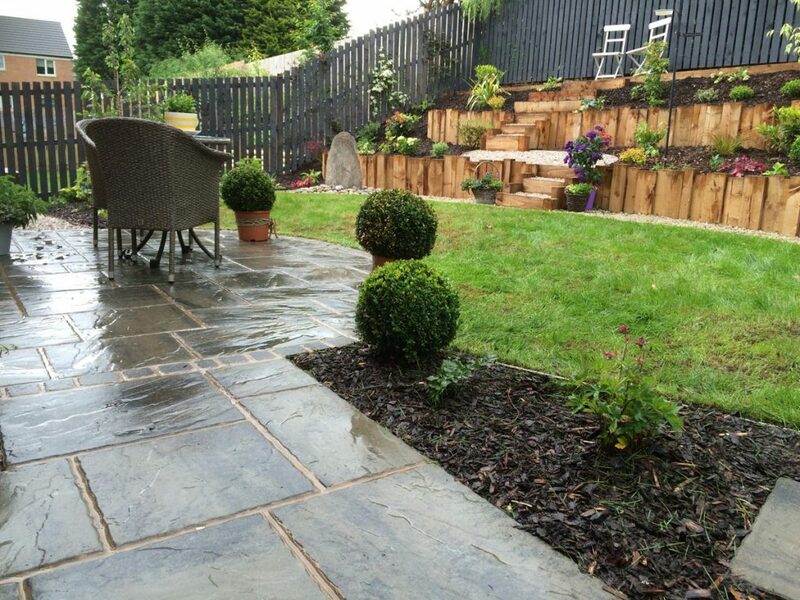 A new lawn was laid to balance the garden and soften the amount of hard landscaping. 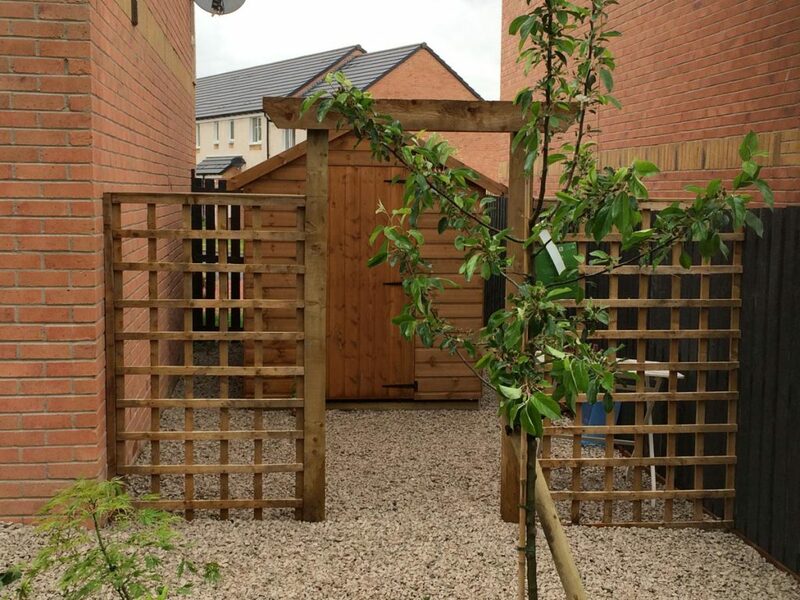 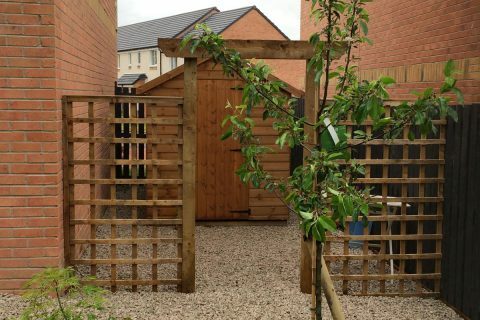 A trellis and archaway was aded to the side of the house to screen the new shed and utility area. 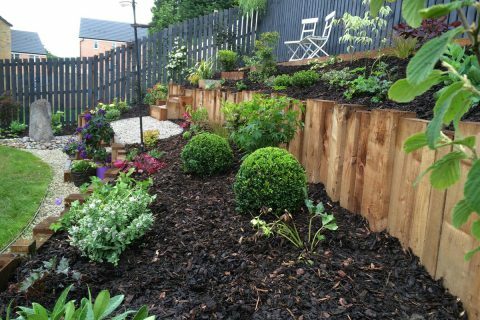 Shrubs such as box balls, phormium and fatsia provide year round interest as well as strong shapes and textures in the raised beds. 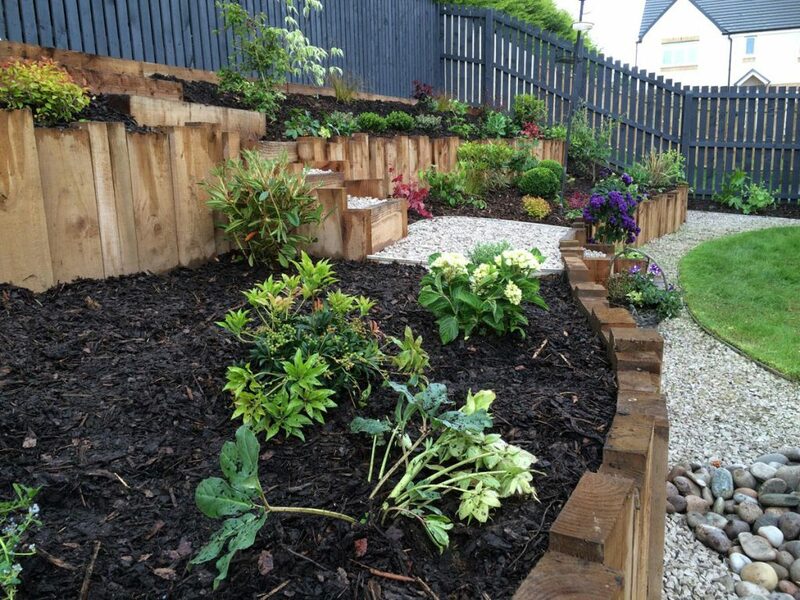 Soft herbaceous planting including heuchera, helleborus and geranium provide colour and interest.